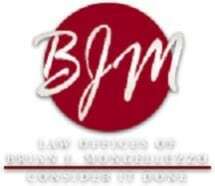 Dedicated to helping you secure the maximum amount of compensation you deserve for the injuries and losses you suffered as the result of someone else's negligence, the attorneys at the Law Offices of Brian J. Mongelluzzo, LLC, in Waterbury, Connecticut, are here to fight hard on your behalf and aggressively pursue the most favorable outcome for your serious personal injury or workers' compensation claim. Our law firm's founder, attorney Brian J. Mongelluzzo, is certified as a workers' compensation specialist by the Connecticut Bar Association as approved by the Legal Specialization Screening Committee and the Rules Committee of the Superior Court, and he leads a team of seasoned, dedicated attorneys who are devoted to helping our clients protect their rights and entitlements while fighting to achieve the favorable outcomes they seek. As further evidence of our success, The Waterbury Observer has voted us as the Best Personal Injury Lawyers in 2012 and 2013 as well as the Best Law Firm for the past several years. To find out more about how the Law Offices of Brian J. Mongelluzzo, LLC, can best serve you and your family in your time of need, you can schedule a free initial consultation by calling our office or visiting our website. We won't get paid unless we win your case, and we are here 24/7 to address your questions and concerns as they arise.